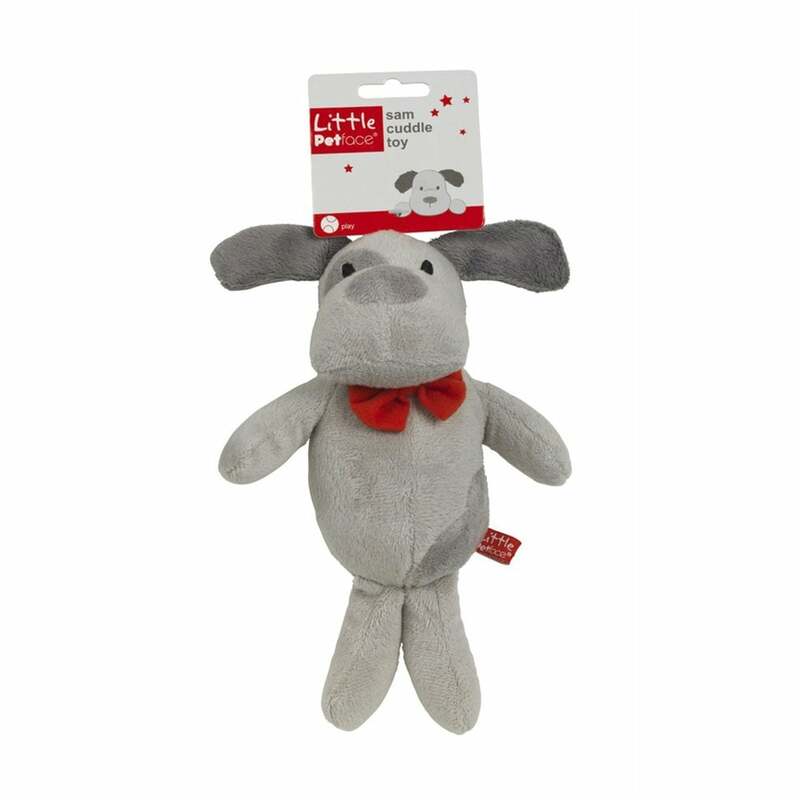 This Little Petface Sam Cuddle Dog is a lovely small soft play toy for young puppies. The smooth fleece fabric and generous filling offers a stimulating texture to keep little mouths occupied. The Sam Cuddle Dog has a squeaker in the main body and is great for developing play skills as part of early training or as a companion.